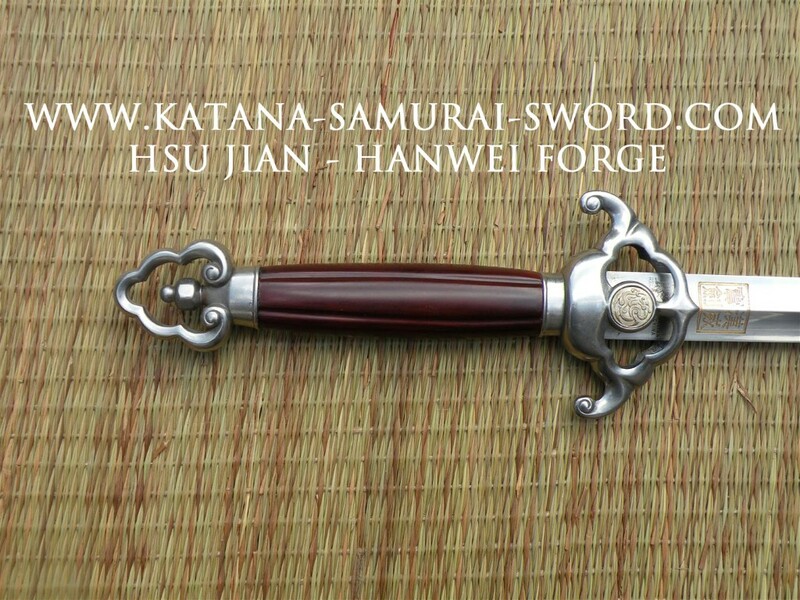 Designed by world-renowned Chinese martial arts master Sifu Adam Hsu, these Chinese straight swords (Jian) are becoming the weapon of choice in the Tai Chi community. 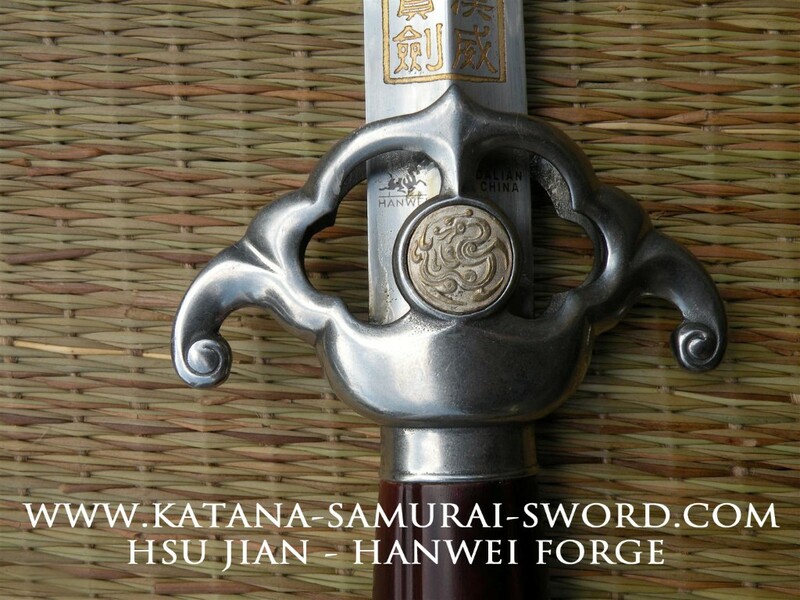 Functionality, weight and balance are paramount considerations in Sifu Hsu�s designs, while Hanwei�s quality and workmanship give the swords a graceful and pleasing appearance. 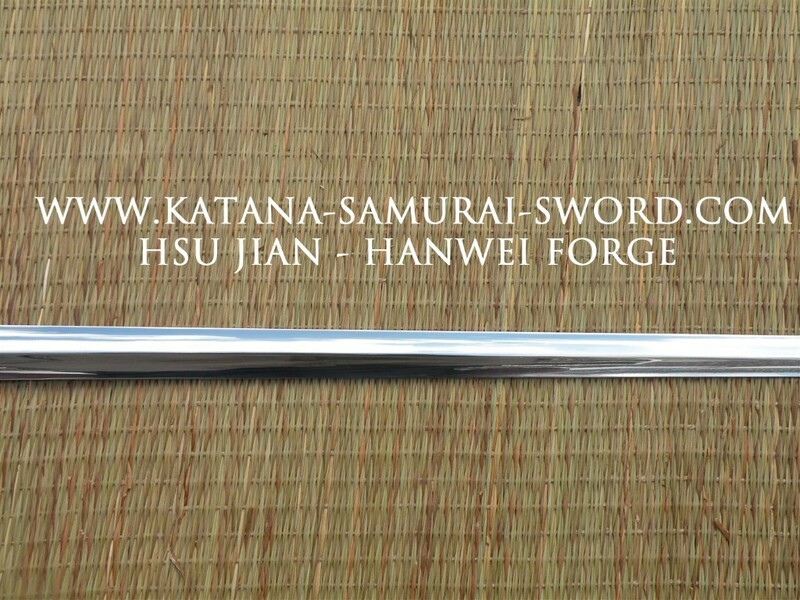 The blades are crafted in high-carbon spring steel and have a pronounced center ridge and distal taper, producing exactly the right degree of stiffness and a very audible hiss in the cutting stroke. 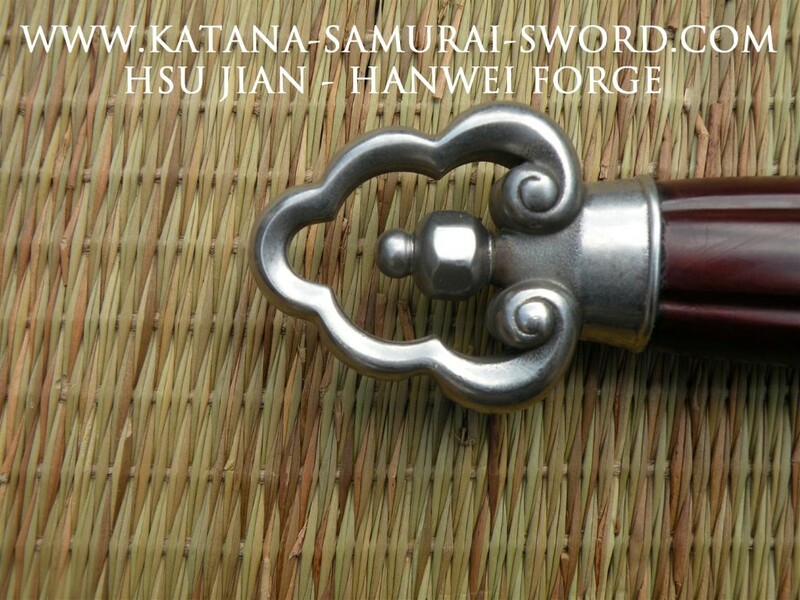 The Ming-style steel guards have an embossed Dragon symbol, while the open-ended pommels facilitate the fitting of a tassel. 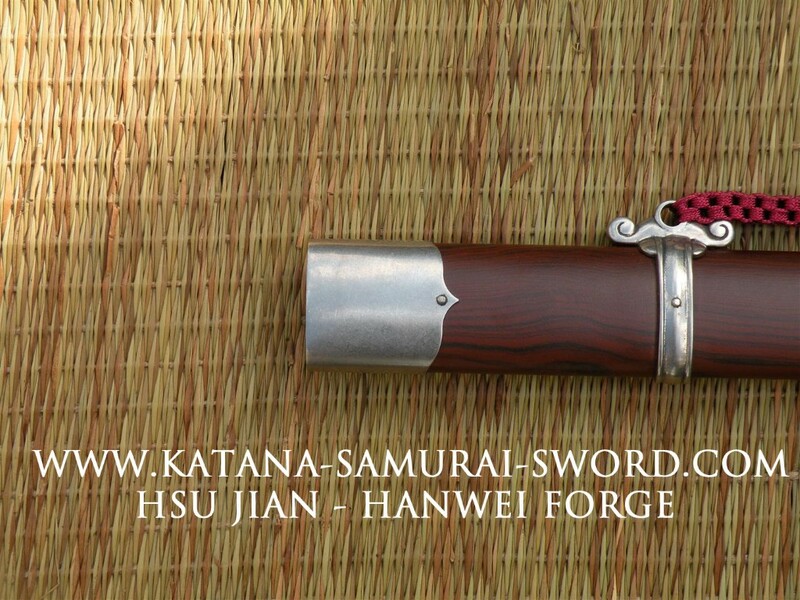 A unique feature is the �duck-bill lock� in the bottom of the scabbard that securely holds the sword in place. 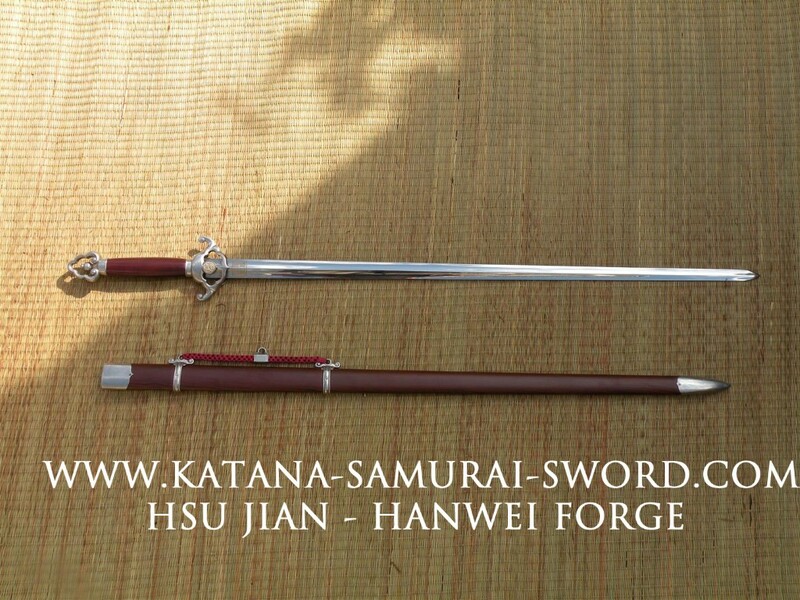 Hanwei offers the single-hand sword in four blade sizes. 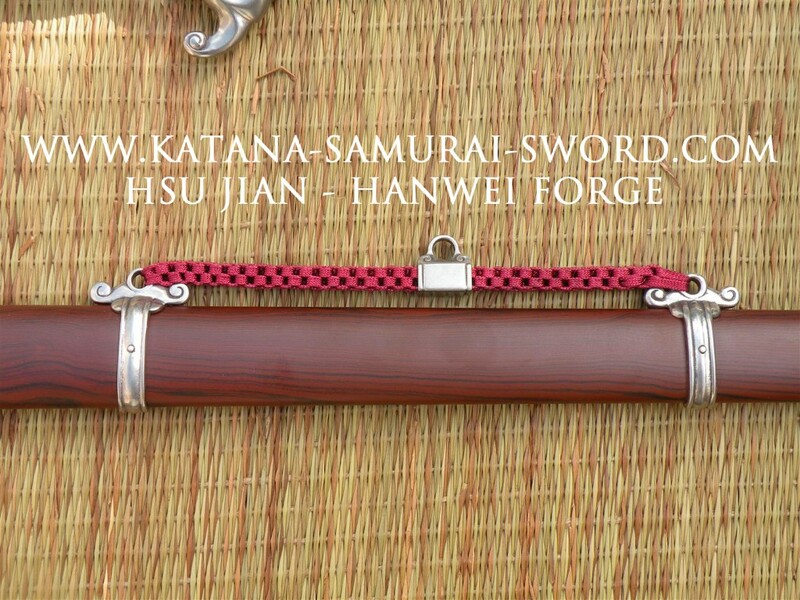 All of the Hsu Jian are available with a choice of fiberglass (for durability) or wood (for the traditionalist) grips and scabbards. 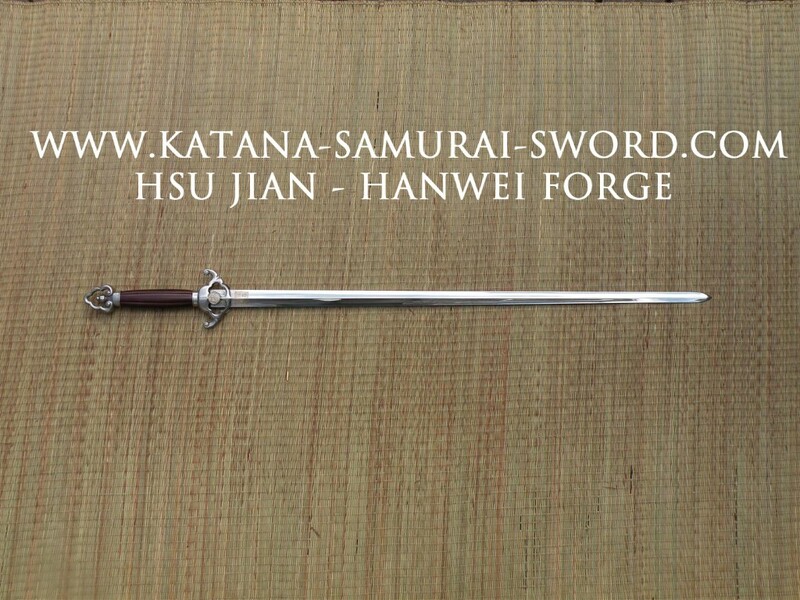 The Paul Chen Hsu Jian features a 28" blade and a fiberglass grip and scabbard.